Explore the woods in this whimsical winter collection. 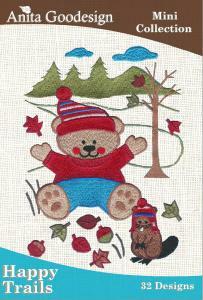 Cute bears, ducks, raccoons & even a moose are in the set, 32 designs in all. The young wild life lover in your family will really enjoy anything you make them using these designs.